Welcome one and all to the 74th Convention and Trade Show! Register online or click here to download the brochure. We are looking forward to once again being back in Helena at the Radisson Colonial Hotel. YOUR convention committee has worked hard to bring you several new items this year, and a couple of changes to the format as well, giving you some additional time with your friendly vendors on Friday! Remember that when we are in Helena, this is also the opportunity for you to interact with your elected officials! We have adjusted the time of the trade show to allow our Senators and Representatives to come and visit with our vendors, and if they want, have dinner with us and hear your comments! Be sure to mark the appropriate check-boxes to let us know if you will be at the banquet! By checking the appropriate boxes and letting us know what you plan on attending, we continue to maintain our control on costs, helping us in the long run! Finally, remember that registering for the Convention is not the same as paying your dues, and to maintain your continuous membership status, you will need to send that in separate. You can download the form from our newly refurbished website or pay online. 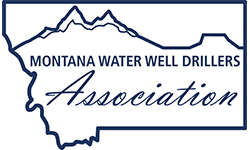 Either way, be sure to not only register, but maintain your membership with the MWWDA! I look forward to seeing you all in Helena!